Welcome to the official website of the Honorary Consulate of the Russian Federation in Paphos, Republic of Cyprus. Please find detailed information about the operation of the Honorary Consulate, diplomatic service, read the legal documents and apply for citizenship, notaries, passport and visa requirements, recording, registration, procedures for receiving and issuing of relevant reports, certificates, powers of attorney. Russia and Cyprus are bound by historical and cultural ties over the years. 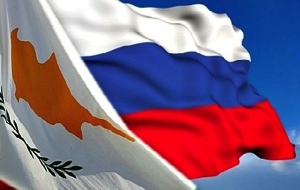 Diplomatic relations between Cyprus and Russia are friendly and aimed at further strengthening the economic, social, political and cultural relations between the two countries.